Industry 4.0: A Threat To Employment? In the beginning, there was ‘Web 2.0’. Then there was ‘Cloud Computing’. Next came ‘Big Data’, followed by ‘IoT’. Now, the newest buzzword in technology is ‘Industry 4.0.‘ In this article, we explain this concept and its implications on businesses and the economy, specifically employment. What is Industry 4.0 In the First Place? According to the proponents of Industry 4.0, the first industrial revolution or version 1.0 started with steam engines in the 19th century. Version 2.0 came in the 19th century with electricity being used for mass production. Version 3.0 came in the 20th century, with the computerization of manufacturing. 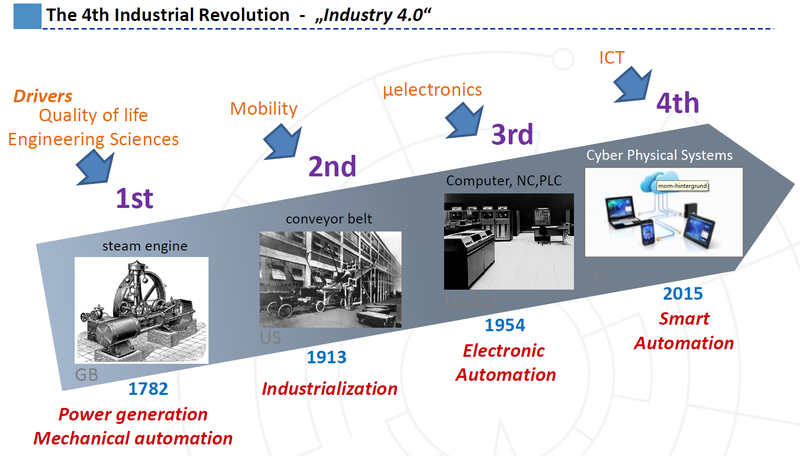 Version 4.0 continues the trend of applying technology to production, specifically the combination of IoT, big data, wireless connectivity, and systems integration into ‘cyber physical systems’ that connect and control each other, creating ‘smart’ factories. Interoperability: Machines, devices, sensors, and people should connect and communicate with each other. Information transparency: IT systems should have more information through sensor data. Technical assistance: IT systems should quickly aggregate and visualize information. Cyber physical systems should also be able to support human work. Decentralized decisions: Cyber physical systems should be able to make decisions and perform autonomously. In a smart factory, all the components and tools of production are connected to other parts via wireless technology. A raw material or part to be processed has an RFID tag which tells the sensors in the tools of the smart factory how it should be processed, In this way, different materials can be processed in specific yet various ways using the same hardware at a faster rate. Each material can tell the factory where it should go and what should be done to it, easing the decision making burdens for the human operators or even allowing fully automated production. What does this system aim to achieve? For customers, it hopes to let them get customized products more quickly. For manufacturers, it aims to deliver a flexible production system that can be adapted to meet constantly changing requirements. For both, it means having lower costs in the long run, making industry more competitive. Industrie 4.0 was an idea of the German government to promote the computerization of manufacturing. To understand why the Germans created this (instead of the Japanese or Americans), one has to look at the history of German production. Germany proved its strength in manufacturing in World War I when Germany produced the munitions necessary to supply its armies on both Eastern and Western fronts. During World War 2, it was able to produce sophisticated tanks, jets, and rockets that required precision parts. In contrast, American and Russian production went for quantity instead of quality. The West soon realized that quality, quantity, and efficiency in production were essential to be competitive in both peacetime and wartime. Thus, Western production in the 1960’s and 70’s focused on computerization, with America and Germany creating Materials Requirement Planning (MRP) represented by Oracle and SAP. While the Western countries went for computers, Japan went for process improvement, introducing ‘Just In Time’ manufacturing through Toyota around the same time. This created innovations like kanban for classification and the QR code (Quick Response code) for identification. Germany continued its push for computerization in its High Tech Strategy of 2010, focusing on standardization, technical skills, and collaboration with industry, culminating in Industry 4.0. However, new technologies often create new industries, generating more jobs than they destroy. For example, the invention of the automobile displaced workers employed in the operation and maintenance of horse-drawn carriages, but created the automobile industry which employs much more people, even today. The adoption of Automated Teller Machines (ATMs) allowed banks to decrease the number of human tellers per branch, which in turn allowed banks to open more branches, hire more human tellers, and serve more customers. Similarly, Industry 4.0 will create more jobs by creating demand for programmers, engineers, and technicians to develop, maintain, and expand the smart factory. 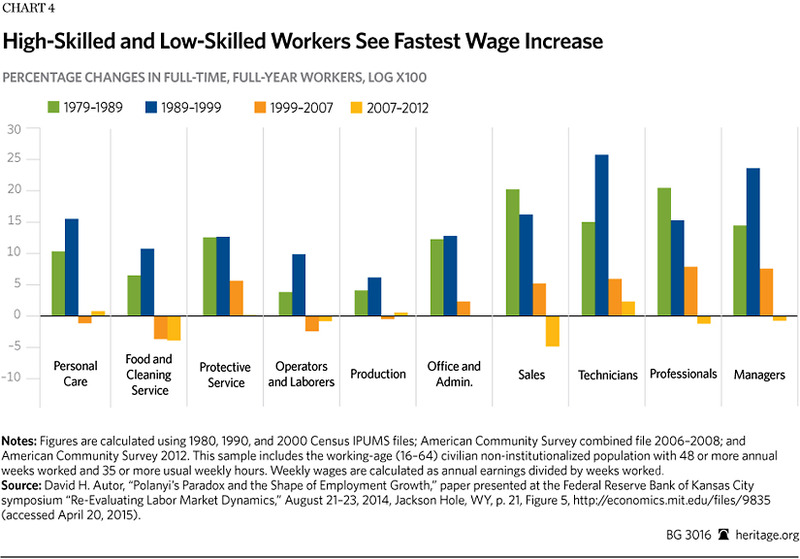 According to The Economist, automation will generally reduce employment in mid-level jobs, but increase those in both low and high-level, specialized jobs significantly. Every new technology has benefits and drawbacks. For Industry 4.0, the major issues relate to security. According to a study by PWC for example, denial of service attacks can disrupt an entire production line. Data can be hacked if the network is not secured properly. Lastly, malware might be entered into the system, spreading and damaging other systems. These are on top of other issues that affect normal IT systems, such as cost issues, technical problems in implementation, and finding skilled people to develop and maintain such systems. Despite these issues in security, cost, and employment, experts encourage companies to adopt Industry 4.0 in order to make their products and operations competitive. It is currently being pushed in Japan to address the shortage in labor and in China to make production more efficient and flexible. Although some jobs will be lost, Industry 4.0 will create much more employment in new, more specialized fields. But its biggest benefit is that it will give industry the ability to produce new products faster and more cheaply. This will translate as either lower prices and greater availability for consumers and buyers, or higher profits for producers.